My new favorite treat lately? A sliced apple. Sprinkled with cinnamon, drizzled with a little melted peanut butter, sprinkled with a teaspoon of mini chocolate chips, and heated for 20-30 seconds in the microwave. I am always so reoccupied with enjoying every bite that I have yet to take a picture of this deliciousness. My favorite book right now? Harry Potter and the Sorcerer's Stone . I decided to re-read the Harry Potter series after finishing Go Set a Watchman . The Harper Lee novel reminded me what it feels like to enjoy a book so much you don't want it to end and when it does you feel like you've just said goodbye to some dear friends. I wanted to feel that way again, and I know I can count on that with good old Harry. 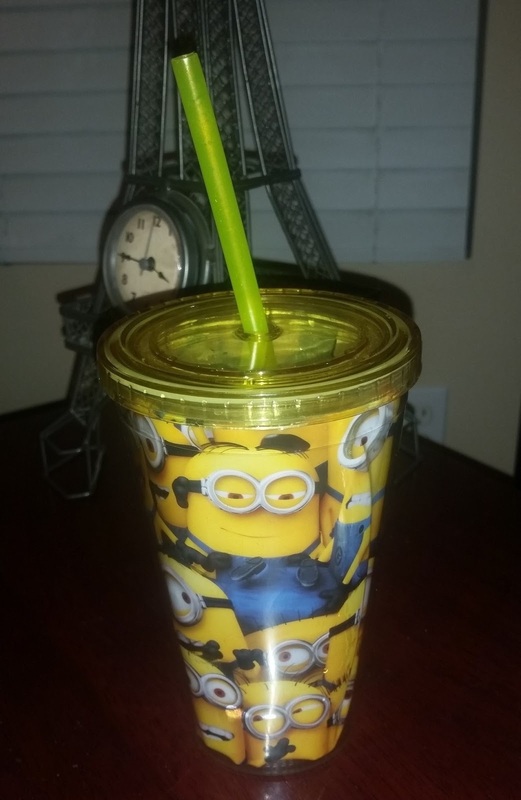 My favorite cup and what's inside? This one. With water inside. The minions are helping me get all the water my body needs lately. My favorite Instagram account? 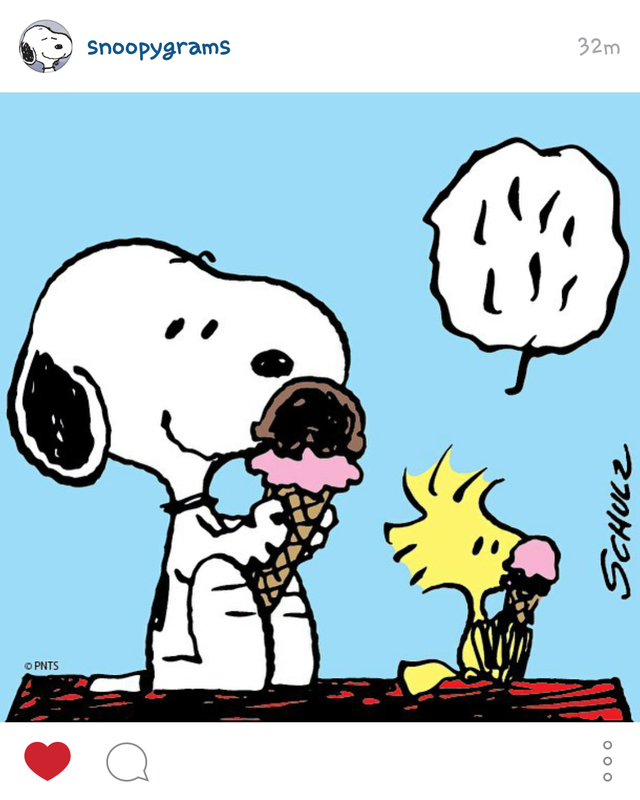 @snoopygrams. 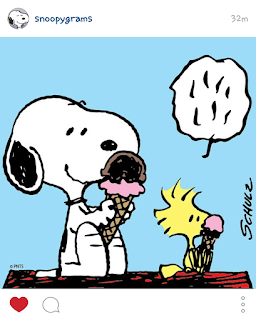 I have always loved Snoopy. Since I was a little girl. That love has not wavered. And that Peanuts gang knows all the secrets to life. My favorite workout? This one topped my list last week. My arms were toast when I was finished. I'll be doing it again on Thursday! A good book series that gives you The Feels are hard to come by and amazing to experience. I feel like that is how annabelle has been since she finished the Fablehaven series. ..not that I think that series is amazing, but she is obsessed. Speaking of, that snack sounds delightful. I will definitely be giving it a try. So will you be seeing the peanuts movie opening weekend? Evan laughed during the preview. He thinks snoopy is pretty funny.